Museums all around the world love the month of May. "Why? ", you ask. Because of International Museum Day! PGM will be joining in the worldwide celebration on Friday, May 18th by offering FREE museum admission to everyone! We'll also have dedicated docents in our galleries answering questions and doing "show & tell" with our artifact carts from 9am to 3pm. So tell your friends, take the day off and come celebrate IMD with us! 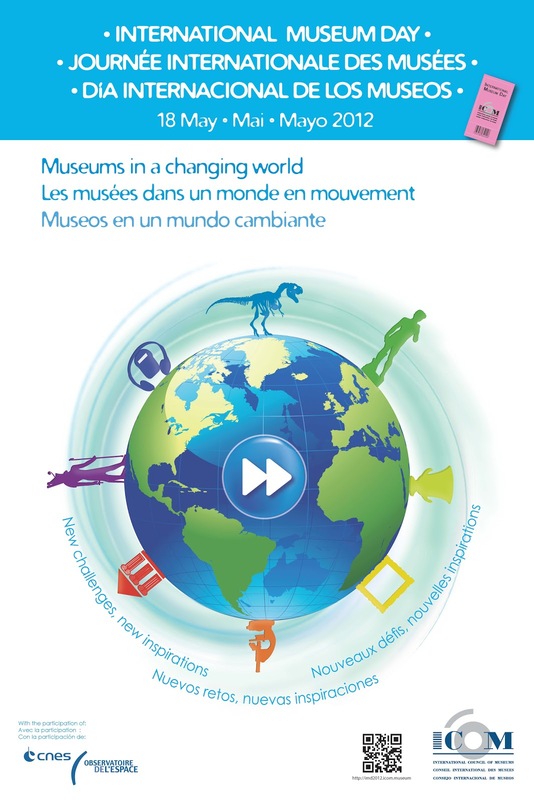 The theme for 2012 is Museums in a Changing World. New challenges, New inspirations. "Today, the world is changing faster than ever. New technology delivers new ideas, gigabytes of information, news of an increasingly unstable climate, all shared by social media. Modern museums must compete for an audible voice against the furious pace of this background. Museums in a Changing World is recognition that institutions are faced with interpreting, and existing in, a field that is becoming increasingly fluid. Each may face a unique set of goals, interests and audiences." For more information, visit the International Museum Day website and follow them on Facebook to see how people all over the world are celebrating! This would be a great time to see the “All good clay smell like rain” exhibit if you have not seen it yet. Really Incredible!